← Do You Have Load Data For…..? Sierra Bullets has announced a program designed to channel support to the United States Olympic shooters – and to give you a chance to get a special jacket patch, certificate, and gold-plated lapel pin. Participating dealers will soon have “Shoot for 1980” kits on their counters. the other a handgunner. So you may want to try for both. 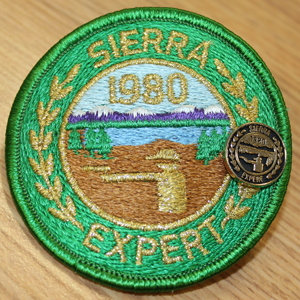 Among the rules is the stipulation that you shoot your groups with Sierra bullets. the help, and I’m sure a lot of shooters will want to get in on this casual competition. This entry was posted in Competitive Shooting and tagged 1980 Olympics, marksmenship certificate, marksmenship patch, marksmenship pin, Moscow Olympics, Olympic shooting, Olympics, US Shooting Team. Bookmark the permalink.